SRT is the common SubRip Subtitle file format, almost it is subtitle file format which is originated from DVD Ripping Software SubRip so it is named as .srt file format. The .srt subtitle file consists of a caption text, the blank line indicates a start of a new subtitle, a number indicating the sequence of subtitle and the time that appears and diapers on the screen. The steps to convert VTT to SRT Subtitle is explained here. VTT stands for Web Video Text Tracks, it is a new relatively user-friendly caption file format which includes timelines, numbers, and text with formatting options. .vtt file consists of HTML5 text tracking. If you download some TV show or a video from online and also the subtitle, but you will get a problem with the video subtitle.Subtitle file will be on a .vtt format not .srt format. 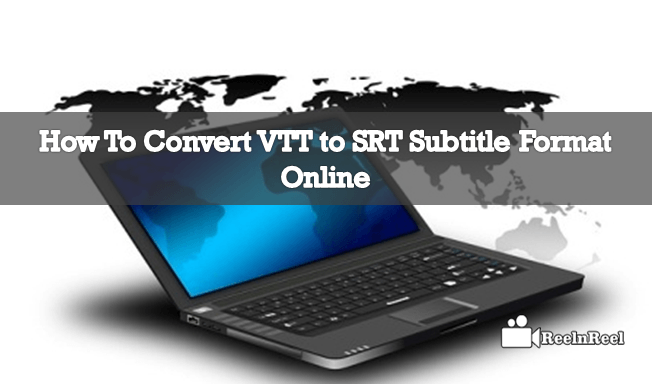 Here is the best way to Convert VTT to SRT Subtitle Format Online. Step 2: Click Subtitle, Browse your .vtt file and click open. Step 3: Click load subtitle button. Step 4: Wait till it finished and closed automatically. Step 5: After finished first line in the table shows the green color. Step 6: Download the .srt subtitle. That’s it you have converted VTT to SRT Subtitle Format Online easily. Sometimes people may get confused to convert .srt and .vtt file formats. this is an extraordinary guide for how to convert VTT to SRT subtitle file formats online.First know what are .srt, .vtt files and make use of this information.